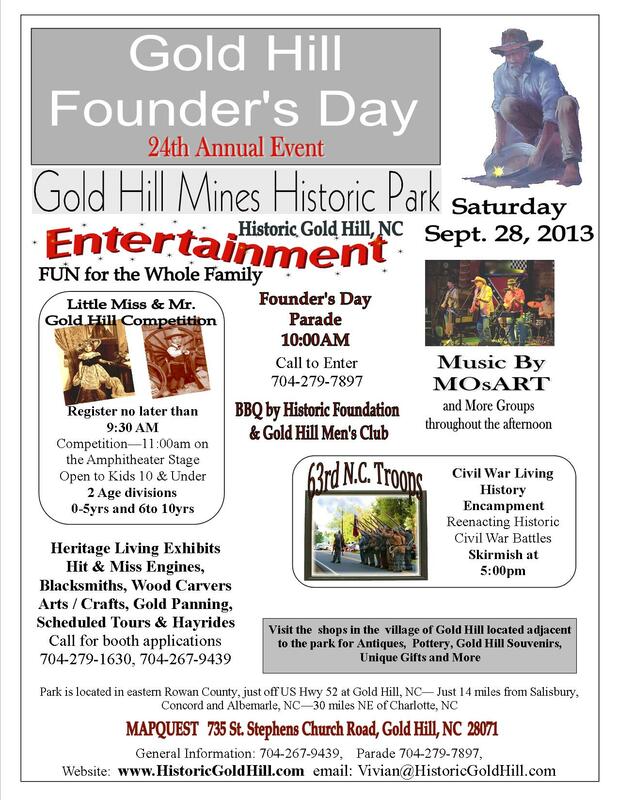 Come to Gold Hill this Saturday for the 24th Annual Gold Hill Founder’s Day. There will be a Parade at 10:00 am. Visit the Park for Heritage Living Exhibits, Arts/Crafts, Entertainment, Food, Civil War Living History Encampment and Skirmish. Come down the street to visit all of the Shops in the Gold Hill Village. RIBS, BAKED BEANS and SLAW will be available at Fairytale Dreams, Weddings and Events and Frankie’s Cottage during the day. The Cruise-Ins for September and October 2013 have been canceled. Saturday, October 19, 2013 10A.M.-5 P.M.
Click on the flyer below for a larger view and details. 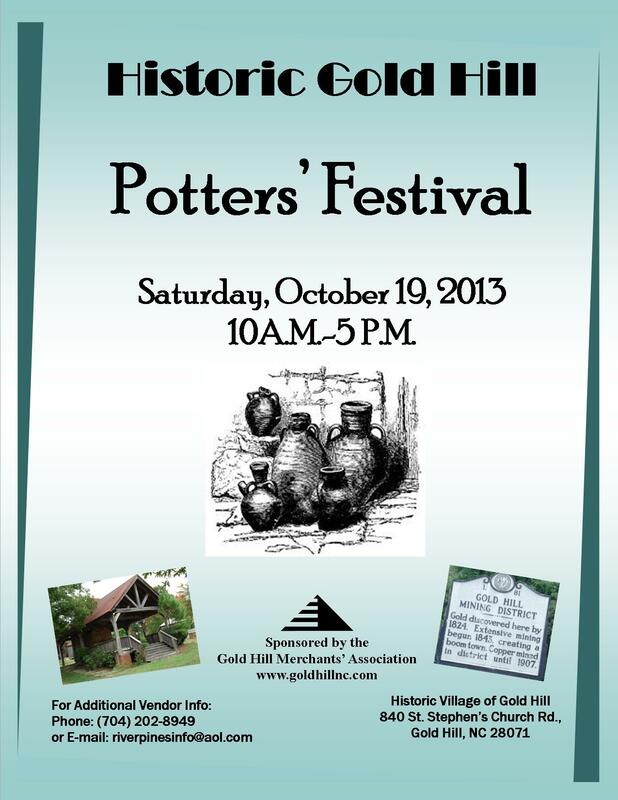 Come to Gold Hill on September 28th for a day of fun, food and shopping. After the Founder’s Day parade at 10:00 AM, visit all of the shops in Historic Gold Hill Village.